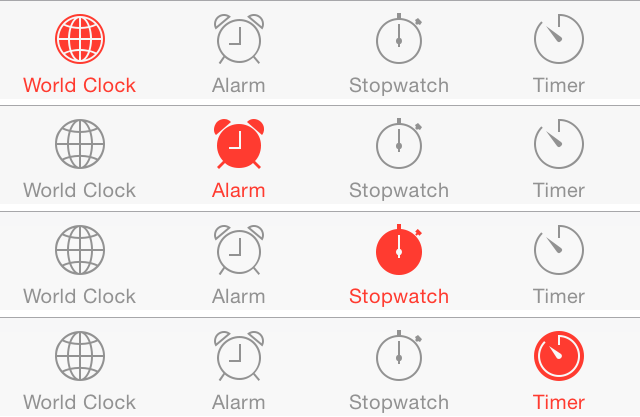 A tab bar gives people the ability to switch between different subtasks, view or modes in an app. Use a tab bar to give users access to different perspectives on the same set of data or different subtasks related to the overall function of your app. 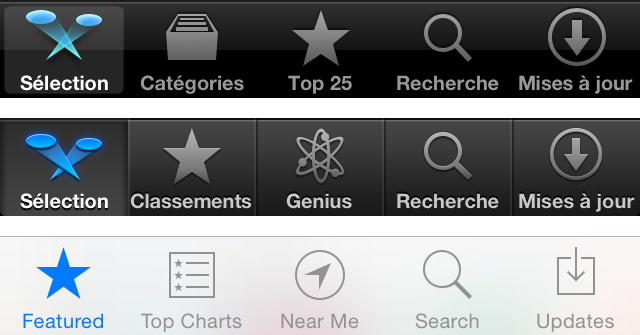 In general, use a tab bar to organize information at the app level. A tab bar is well suited for use in the main app view because it’s a good way to flatten your information hierarchy and provide access to several peer information categories or modes at one time. All third-parties apps using a tab bar exhibited the same blue bar icons (maybe with the noticeable exemption of the Nike+ app): there was no easy way using public APIs to change the icon blue rendering. 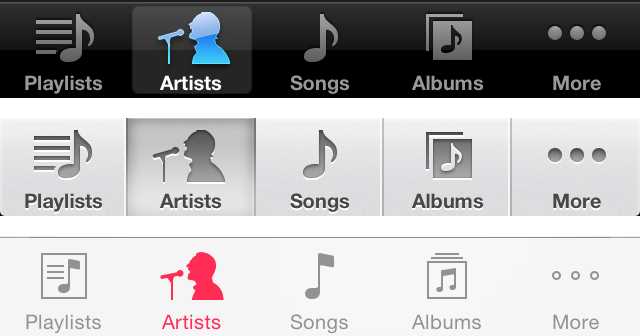 The unselected icon is often just a thin silhouette of the selected icon. 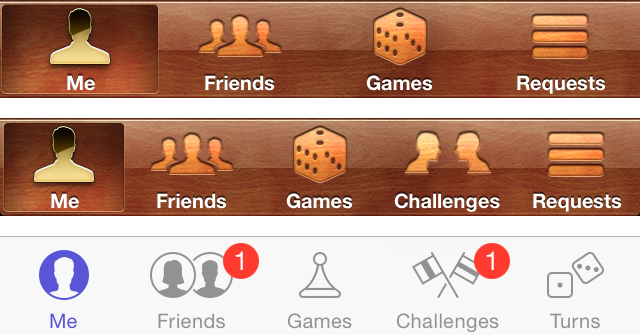 The selected image has more plain zone, filled with color: the attention is really focused on the selected icon. 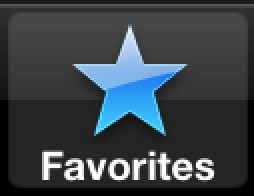 Another gain with the iOS 7 design is accessibility: even if you’re color blind, you can still see where is the selection. Music on iOS 5, 6, 7. 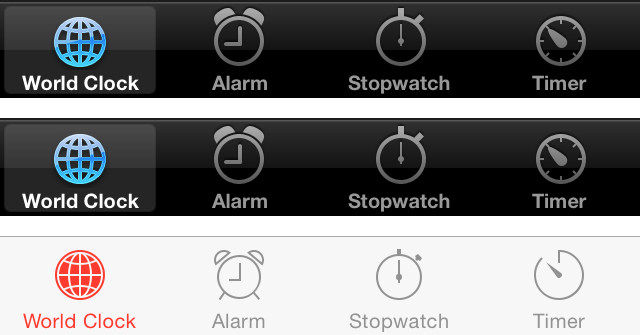 Notice the black pixels in the bottom corners to give a "rounded" layout" in iOS 6. Combine the new flat color selection of the App Store app and the lighter tab bar of the Music app, and we have something that can resemble to the iOS 7 aesthetic! What’s surprising is that the iOS 7 tab bar, while being a real departure from the past, has kept a familiar look and feel, and could be seen as another design iteration.